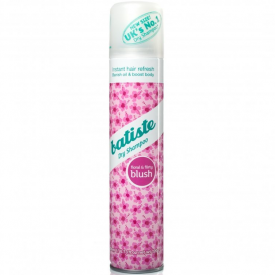 Make an impression with this beautiful, delicately scented version of our dry shampoo. The essence of femininity, Blush is the floral, flirty way to turn heads. A few quick sprays instantly leaves hair feeling clean, fresh and full of body and texture. • A few quick bursts instantly transforms your look. • Hair looks clean and fresh with added body and texture. • The perfect way to extend your blow dry free up time in the morning or to give your hair a new lease of life whenever wherever it needs it. Butane, Isobutane, Propane, Oryza Sativa (Rice) Starch, Alcohol Denat., Parfum, Butylphenyl Methylpropional, Linalool, Distearyldimonium Chloride, Cetrimonium Chloride. 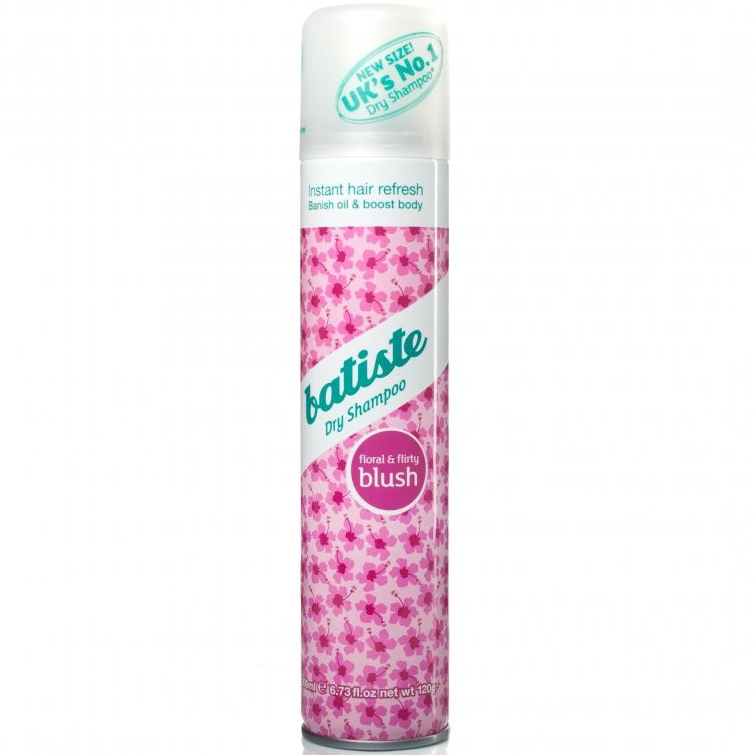 tried this has my uses it a lot , I sprayed as per instruction but I was left with a very visible powder in my hair also my air looked very dull even after giving a good brush , but it did not look greasy and dirty . ok for a quick day fix but not for looking your best . 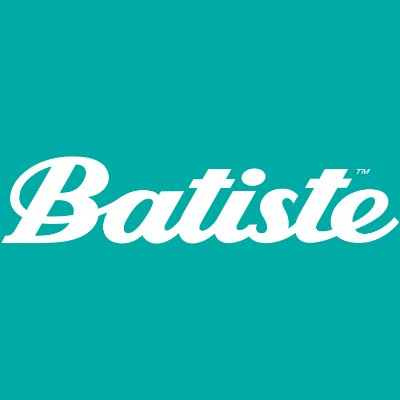 Batiste - when no time. Easily and quickly rescued at the right time. Hair look clean and beautiful. Also adds volume to hair. Invisible on the hair, if well-combed hair. Suitable blonde and brunette. Brunettes need a little more time for combing to shampoo was not visible. what i did was first undo my hair and make sure the spray can was vigorously shaken, then spray into the hair but don't spray too close to your hair or near your eyes,keep at least a 30cm distance and then with your fingers just message the part you sprayed into the roots and then you can start brushing your hair. what i liked was the smell it smelt refreshing and pleasant also it is very easy to use. Compact and easy to transport for frequent use. Cost effective and available in most places. can turn darker hair to more of a grayish colour from over use. Aerosols can be bad if you have a breathing condition. A quick and effective way to beautiful hair on the go. Helps when I don't have the energy to wash my hair - I couldn't be without it! I have a LOT of hair and a can doesn't last long, making the product quite expensive. 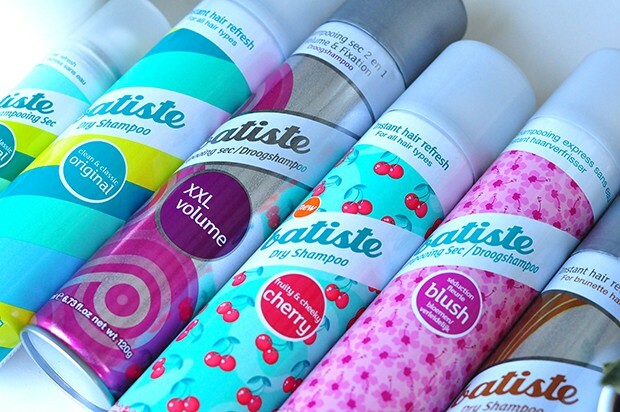 I have a long term chronic health condition and there are times when I just do not have the energy or am in too much pain to wash my long hair - Batiste is the answer. Spray, rub, brush, go, what could be simpler. Plus the Blush one smells lovely, without being overpowering. TIP: do before washing your face or dressing, otherwise you do tend to get a covering of white dust over you. Very good dry shampoo. It helps out in an emergency, when there is no way to wash the head. Very comfortably.